Rudy Giuliani; Jerrold Nadler; Jonah Goldberg, Hallie Jackson, Joshua Johnson and Amy Walter. Whitney Houston's sister-in-law said she feared that drugs would end the singer's life. In a partial transcript of an interview with Oprah Winfrey scheduled to air Sunday, Patricia Houston said she would be "kidding herself" to say otherwise. Patricia Houston, who was her sister-in-law's manager, was asked if she thought drugs would end up "taking" Whitney Houston. The "handwriting was kind of on the wall," she replied. The pop star was changing how she lived, Patricia Houston said, and "it wasn't about substance abuse or anything like that relative to the ... latter days or anything like that." "It was just more of a lifestyle. I was afraid for other things," Patricia Houston said. "I saw her chasing a dream, you know, looking for love in all the wrong places." Bobbi Kristina, Whitney Houston's daughter with singer Bobby Brown, also was interviewed for the episode of "Oprah's Next Chapter" airing 9 p.m. EST Sunday on Winfrey's OWN channel. The 19-year-old discusses how she wants her mother to be remembered, OWN said Thursday. Houston, 48, was found underwater in a Beverly Hills hotel room bathtub on the eve of the Grammy Awards. Investigators found several bottles of prescription medication in the room, and tests were being conducted to determine the cause of her Feb. 11 death. 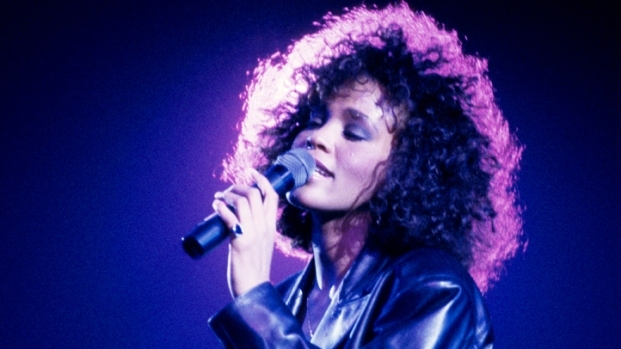 The pop star, whose hits included "I Will Always Love You," had a history of substance abuse.